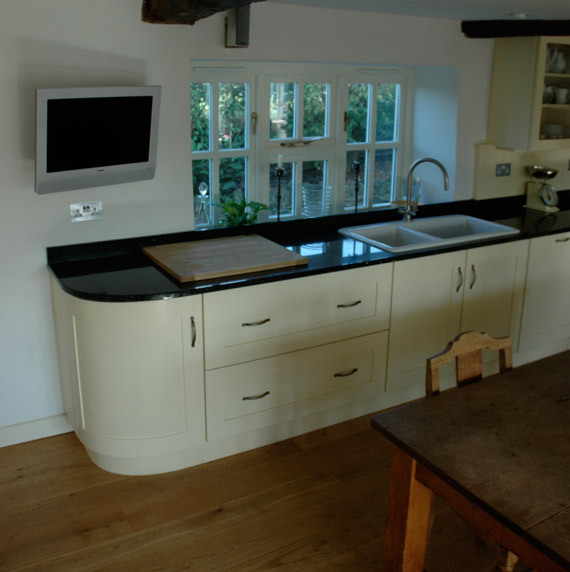 A complete bespoke kitchen design and build. 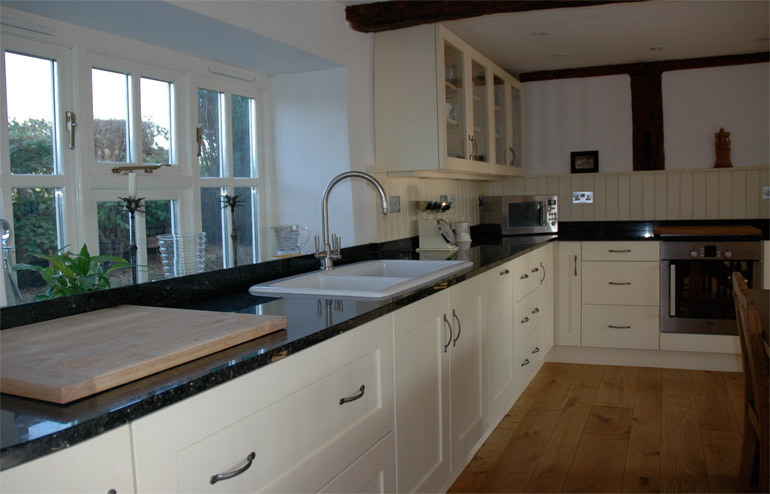 Painted cabinets, window seat, marble worktops. 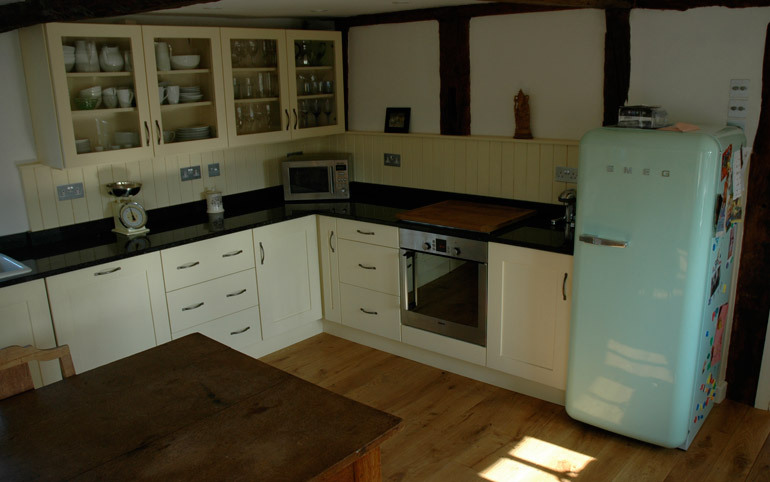 This commission was to create a simple, traditional kitchen, but with some contemporary detailing.